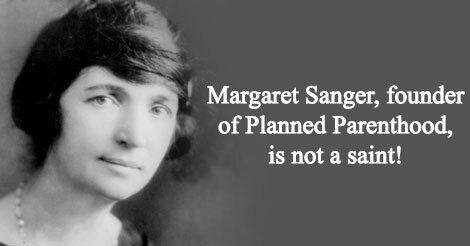 Margaret Sanger is anything but a Saint! The farthest thing from a saint is someone who publicly promotes abortion. The promotion of abortion is in direct contradiction with Catholic Doctrine. Tell Penguin Random House to Pull this Mockery of Real Saints! This is nothing but a mockery of the Catholic Church and Her saints! How dare Penguin feature pro-abortionists as “saints”. This is not the behavior of a saint! Please sign this petition to defend the meaning of sainthood and show your opposition to the portrayal of pro-abortion advocates as “role models”. As a Catholic, I am extremely offended by the blatant mockery of sainthood in a recent book published by your company, The Little Book of Feminist Saints. The Catholic Church declares saints, those what have practiced a heroic degree of virtue and are worthy of being imitated. The figures that are mentioned in the book are absolutely not worthy of being imitated as public and notorious advocates of sin. I strongly ask you cease selling this book.